City’s Professor Adrian Cheok and his research team outline their Top Ten technology trends and scientific developments for 2016. 1. Greater movement toward hyperconnectivity. More people, animals, plants, sensors and devices will be integrated to form a single network. 2. The first real experience of Digital Multisensory Communication for Taste and Smell. 3. 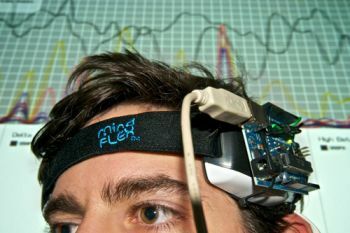 The use of microchip implantation into the brain and brain hacking. Researchers are actively seeking ways to store and restore human memory by implanting a microchip directly into the brain. While this may be beneficial for patients of Alzheimer’s Disease or Post-Traumatic Stress Disorder (PTSD), experiments carried out in this area suggest that it can also be used for implanting a false memory into a lab rat. Like the Japanese animation, Ghost in the Shell, there may come a time when human brains can be hijacked. 4. Food technology will be made more widely available which could radically change our eating habits. Search engine Baidu plans to release smart chopsticks and manufacturer Mark One has released Vessyl, a smart cup. These 'smart devices’ will aid in analysing food and drinks. Researchers will also be investigating other means to help us to improve our eating habits. Scientists at the University of Tokyo are working on ‘augmented satiety’ while researchers at the National University of Singapore are developing a ‘digital taste interface’ to emulate tastes by digital means. 5. 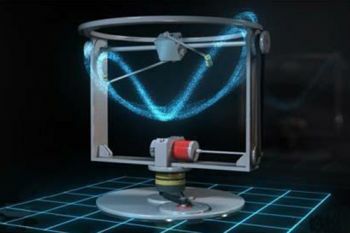 Teleportation will become a reality using Quantum Entanglement. 6. The world’s first practical quantum computer will come on stream. As we approach the limits of silicon- based microprocessors, the next logical step will be to create quantum computers, harnessing the power of atoms and molecules to perform memory and processing tasks. Quantum computers have the potential to perform calculations significantly faster than any silicon-based computer. 7. Anti-gravity will likely be marketed as the key to anti-ageing. According to the beauty industry leaders, gravity also causes our faces to age. Luxury goods and beauty company, Dior, say that gravitational pull causes human skin to drop by as much as 4mm in 20 years. So-called “elastic fatigue” may become a thing of the past. 8. Greater progress will be made in producing Dynamically Modifiable Foods -- magnetic foods which are manufactured by dynamically changing the property and behavior of food such as its weight, texture, shape, density, movement, vibration. This is currently being developed at the Imagineering Institute. 9. In 2016 there may be more concrete evidence for life beyond earth. NASA is embarking on a project to send a lander to Europa. Beneath the icy crust of this moon lies a liquid ocean with more water than earth contains. This ocean is shielded from harmful radiation, making Europa one of the solar system's best bets to host alien life. 10. Drones may be used for terrorism. As drones are easily purchased and can be controlled autonomously in an embedded system, there is a possibility that terrorists could use them. In 2015, an opponent of the Japanese government’s nuclear policy used a drone to carry radioactive sand on to the rooftop of the Japanese prime minister’s office. A microchip (sometimes just called a "chip") is a unit of packaged computer circuitry (usually called an integrated circuit) that is manufactured from a material such as silicon at a very small scale. Microchips are made for program logic (logic or microprocessor chips) and for computer memory (memory or RAM chips). Microchips are also made that include both logic and memory and for special purposes such as analog-to-digital conversion, bit slicing, and gateways.